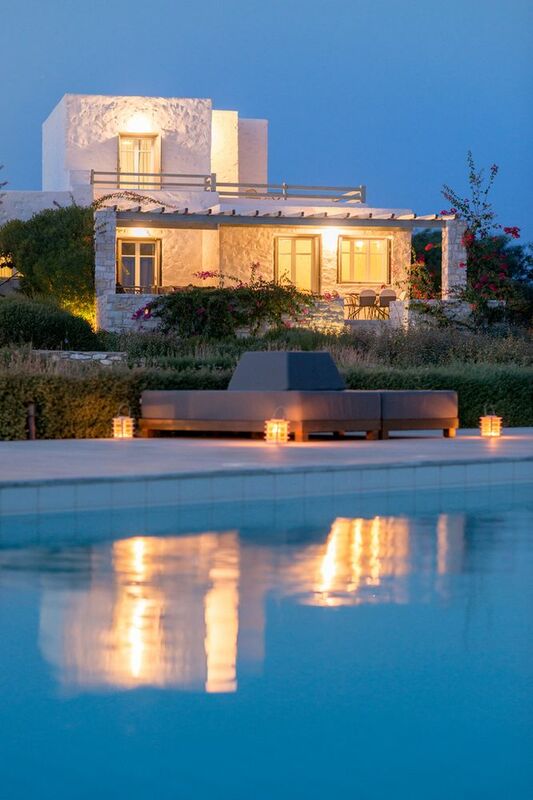 These magnificent villas charming boutique hotel under the name "Stagones Luxury Villas" are located in coastal land Ambelas, on the island of Paros, in the Cyclades. 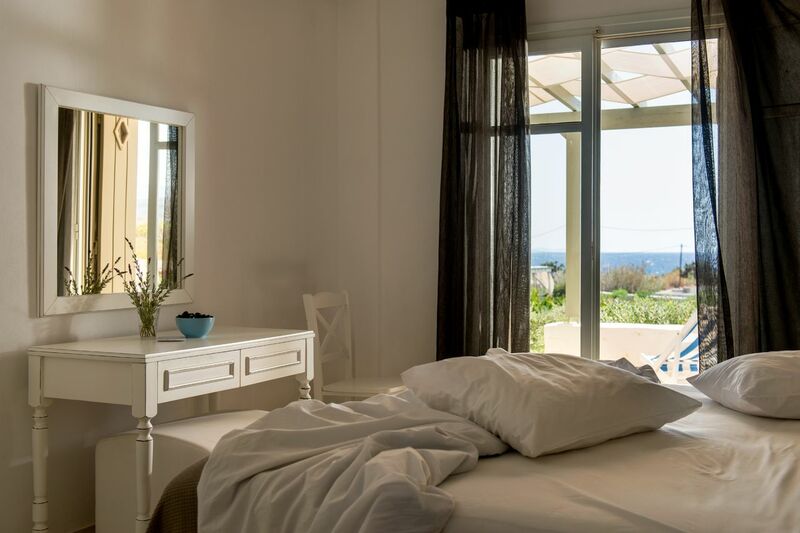 An operating license for "furnished luxury villas» from the Greek National Tourism Organization is held by the property. 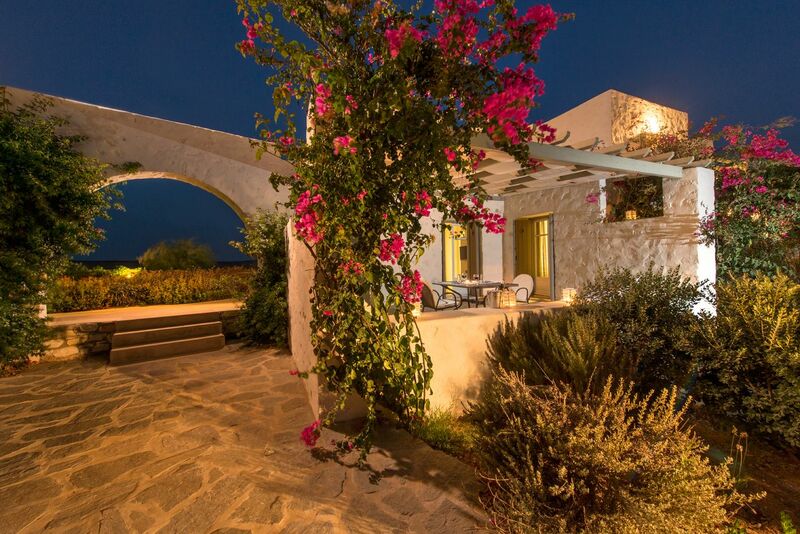 This residence offers plenty of space, privacy and tranquility and is fully equipped and furnished. 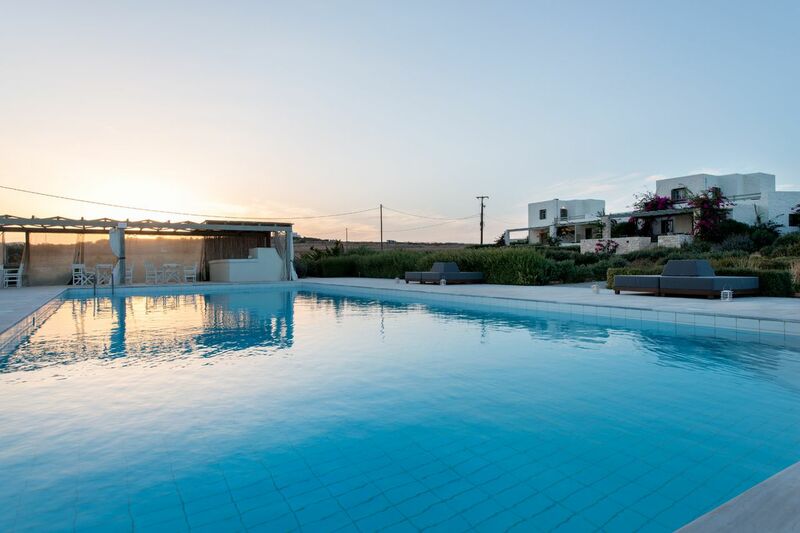 The property is developed on a plot of 8.105 m² and consisting of seven traditional villas Cyclades (stone-made), just 10 minutes drive from the most famous city of Paros, Naoussa. 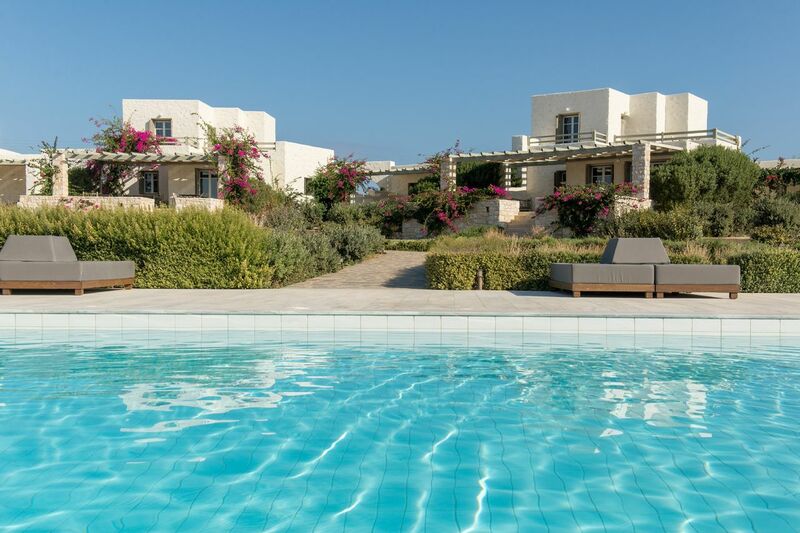 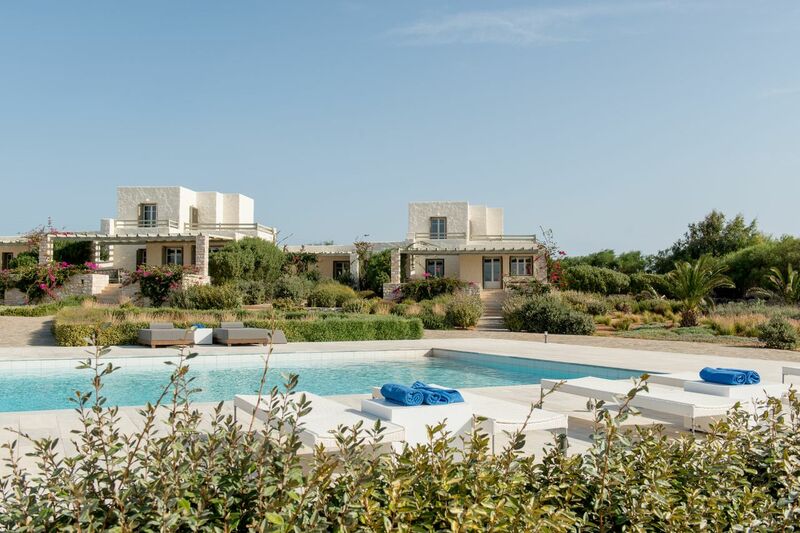 The villas are surrounded by a common pool of 8x18 meters and 1.70 meters deep, a pool bar, the place of reception, laundry facilities and a common water wells with landscaped gardens. 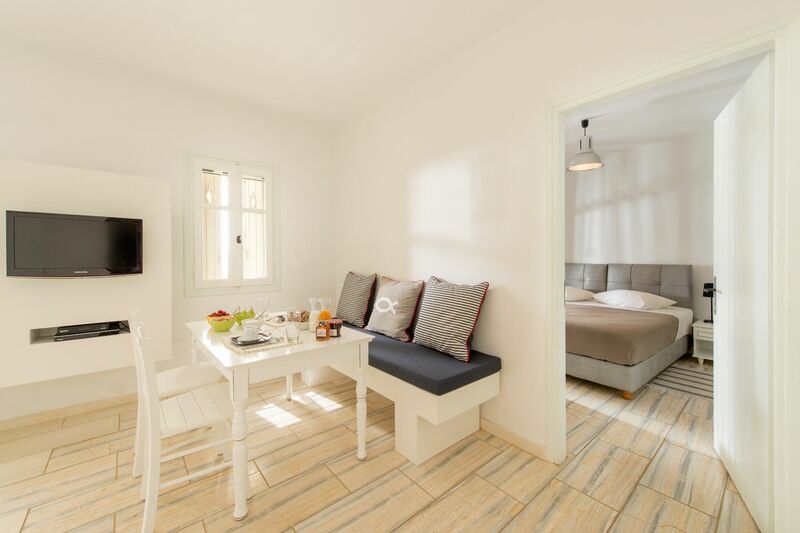 These beautiful Cycladic villas have a living room and dining room combined and furnished with modern and comfortable furniture in classic white and offer a kitchen fully equipped rustic style. 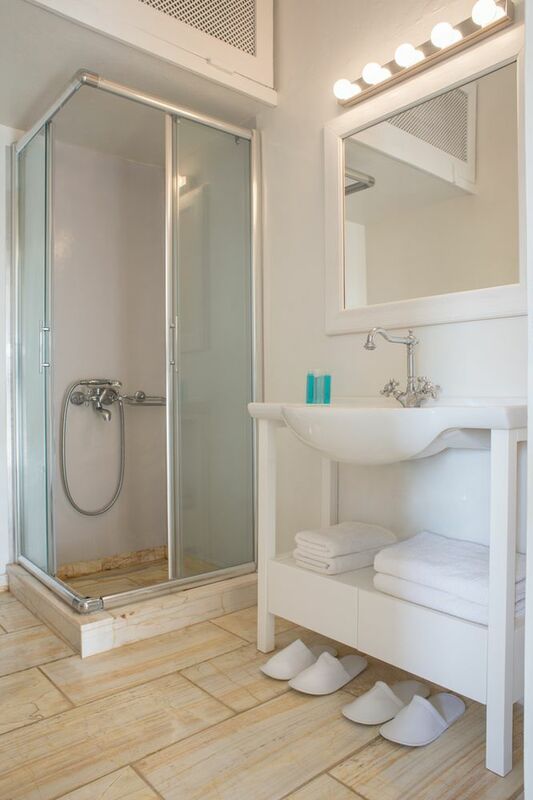 The separate and spacious bedrooms are attached to a beautiful bathroom with local marble equipped with a shower and white wooden furniture. 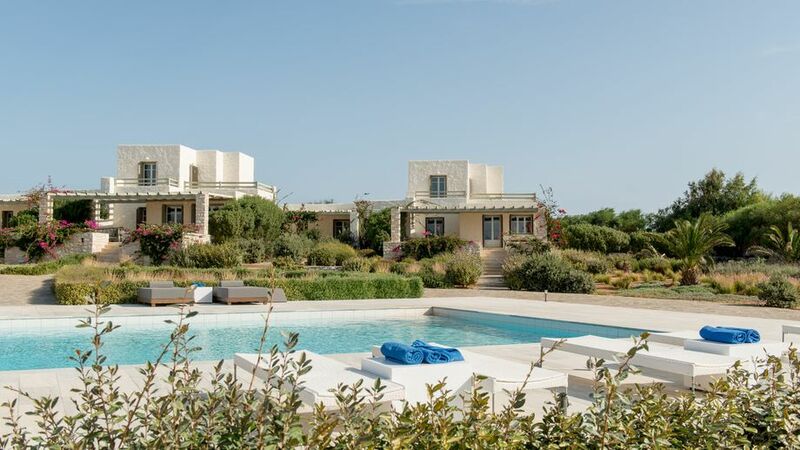 Paved terraces are carefully furnished with high quality garden furniture and offer panoramic views of the sea, the pool and gardens of the residence. 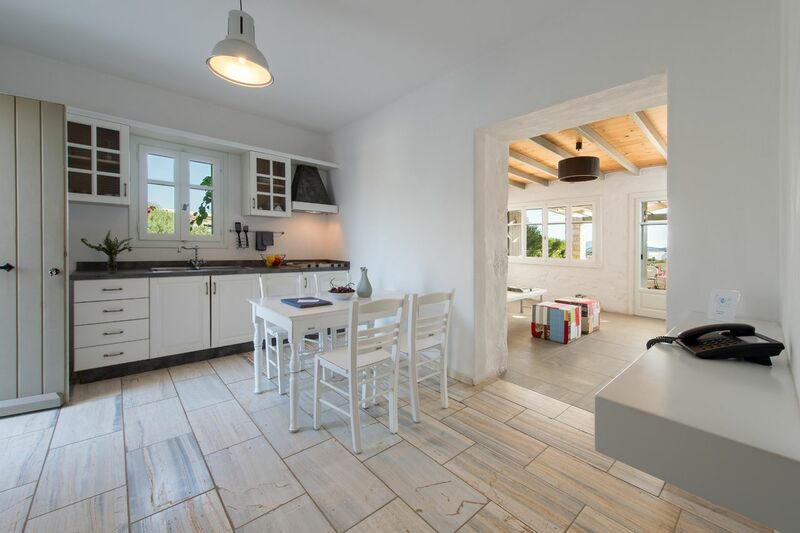 •	Full equipped wooden Italian kitchens. 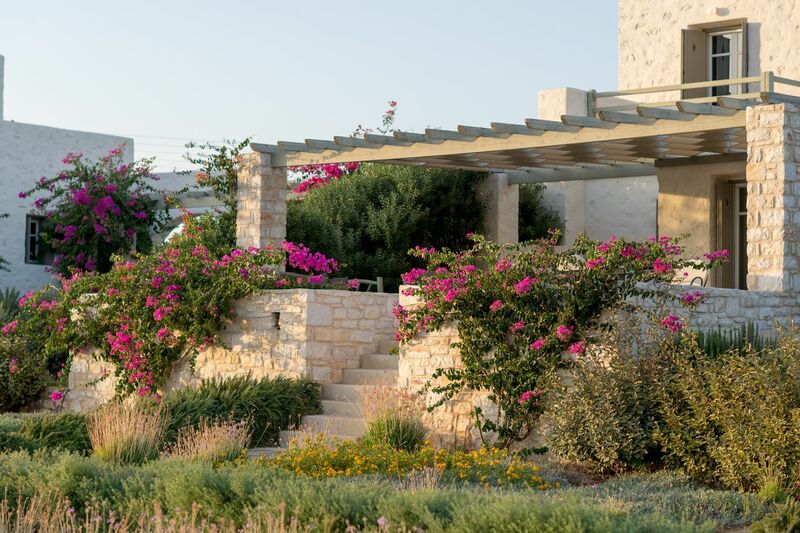 •	Separate entrances for each villa. 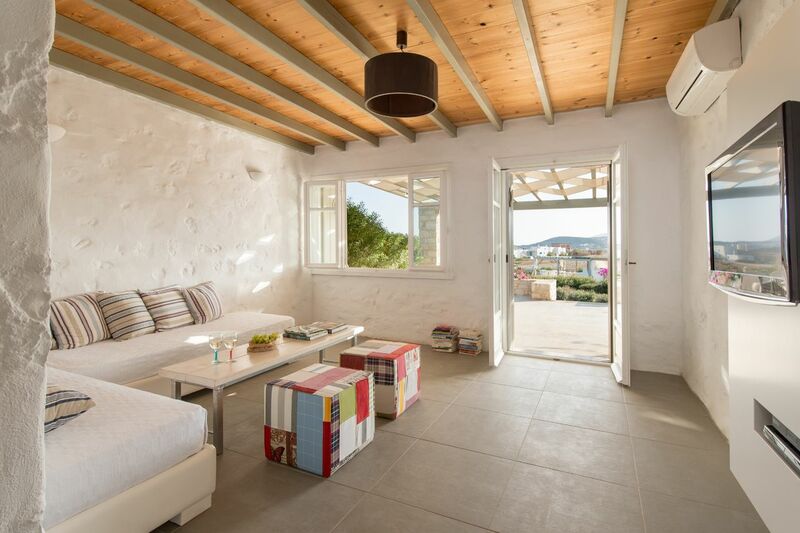 •	Paved verandas with access to pool.